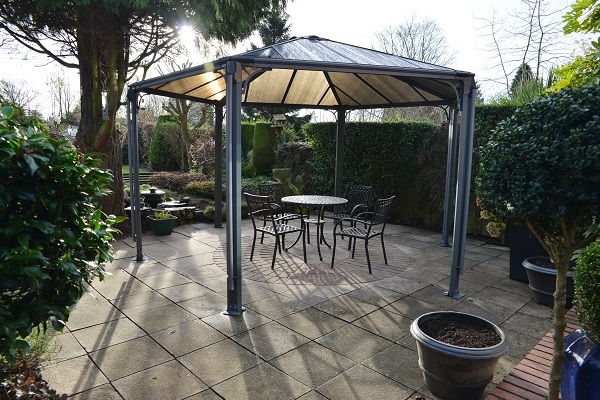 The Monaco Hexagon Garden Gazebo testifies to Palram's commitment to design and dependability in their outdoor enclosures. 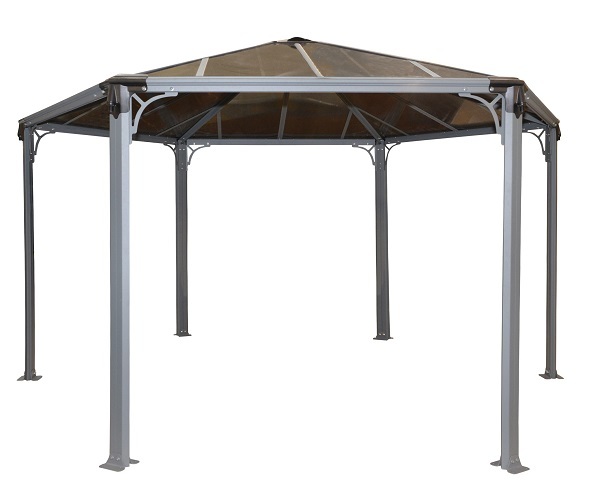 With a fast and easy DIY set-up, this gazebo has a powder-coated aluminum frame that is corrosion-resistant and includes integrated rain gutters and roof vents. The six-millimeter polycarbonate panels are virtually unbreakable, block up to 99.9% of UV radiation, and won't yellow or become brittle over time. 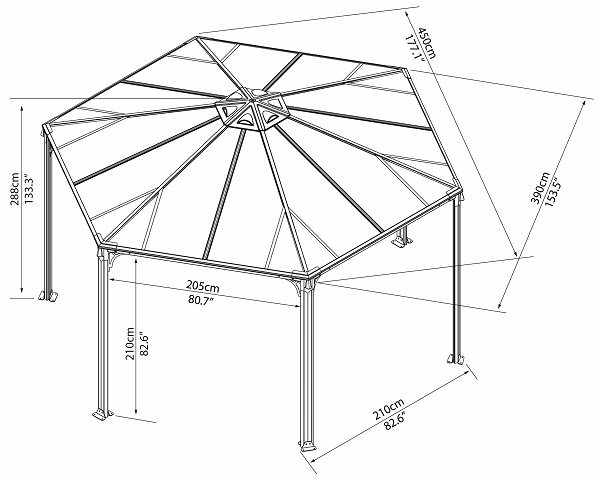 With an iconic look, this gazebo exemplifies the greatness you can expect from Palram.